Guaranteed no-slip, screw holding screwdrivers with split blade driver. 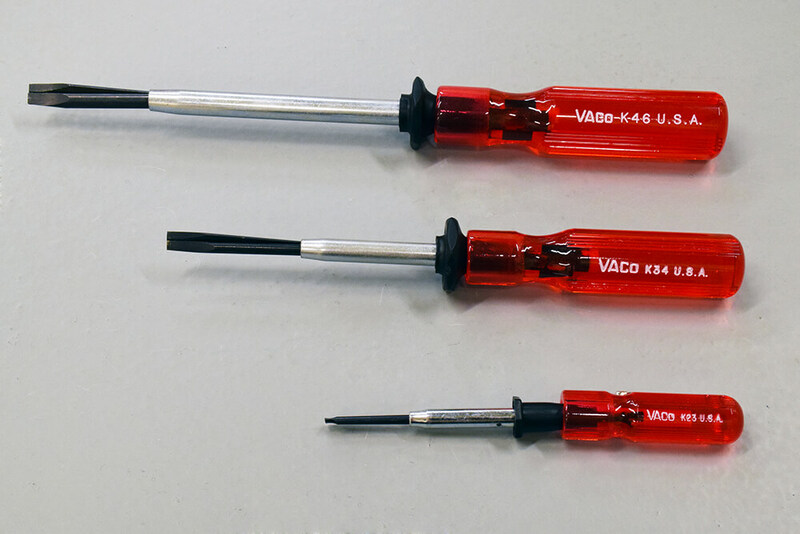 Set of 3 screwdrivers: 5mm, 6mm, 8mm tips. Simple, easy to use and securely grips screws. Comes in a clear vinyl pouch for easy transportation. 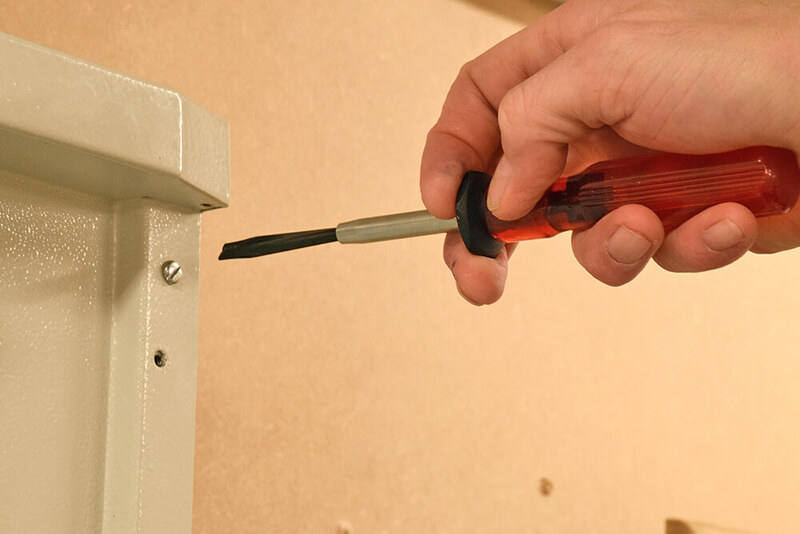 Klein Tools have to come to every electricians rescue with their latest Screw Holding Screwdriver. The tool has been designed with a positive gripping action, which means it holds, starts and drives screws in those tricky, hard to reach spots and prevents the screwdriver from slipping and scratching a potentially expensive face plate or board. 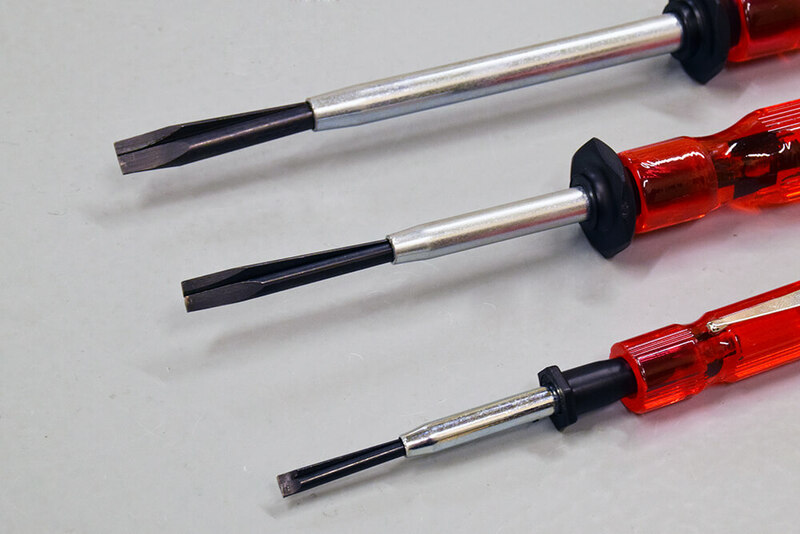 There are 3 different sized screwdrivers in the set, meaning you have complete coverage in your work, with 5mm, 6mm and 8mm tips. Packaged in a clear vinyl pouch, you can take this set of screwdrivers wherever you go. The magic behind the no-fail screw holding screwdriver comes from the split blade driver that you securely wedge into a screw slot and tighten for a precise grip. 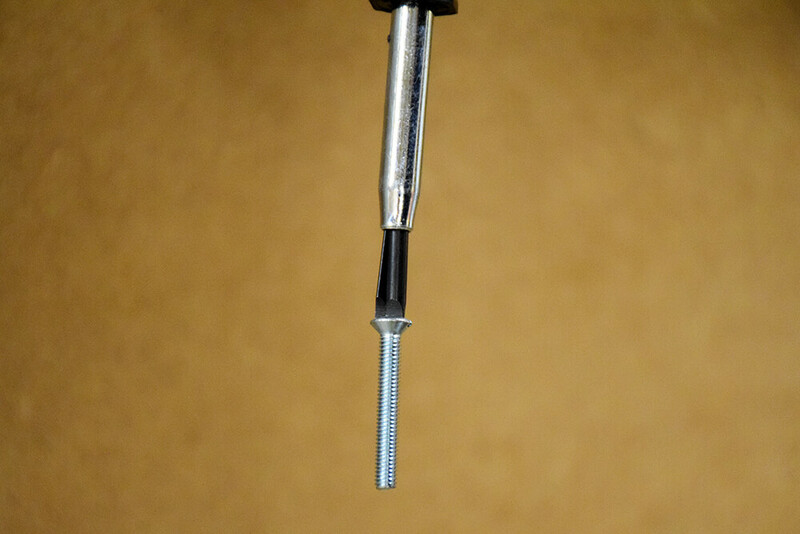 To grip the screw, simply pull the collar on the screwdriver all the way back towards the handle, insert the tip of the screwdriver into the slot on the screw. Then push the collar forward again, towards the screw, until the tip wedges tightly inside the slot. Don’t force the collar beyond its stopping point. To release the screw, simply pull back on the collar all the way, towards the handle. 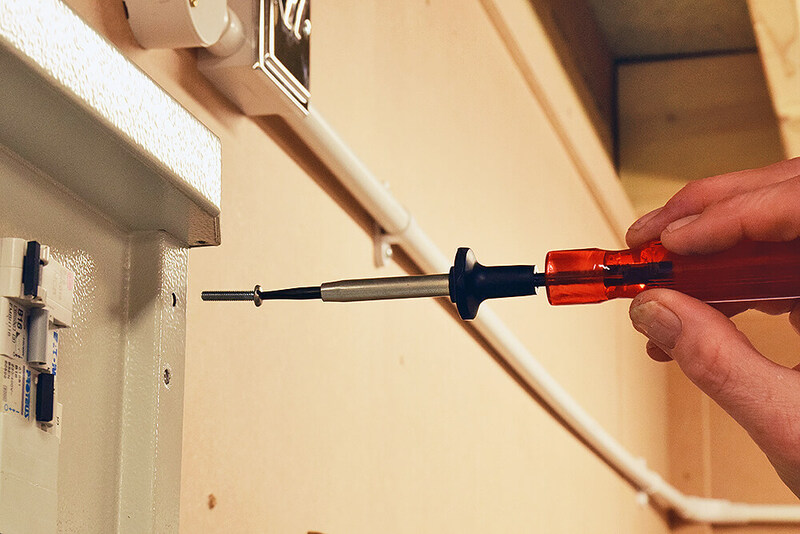 Klein’s latest screwdrivers are here to fix those problems and are perfect for both domestic and commercial electricians. In domestic where you have fancy face plates, brass screws, or click connect lighting above your head, this set is extremely useful. 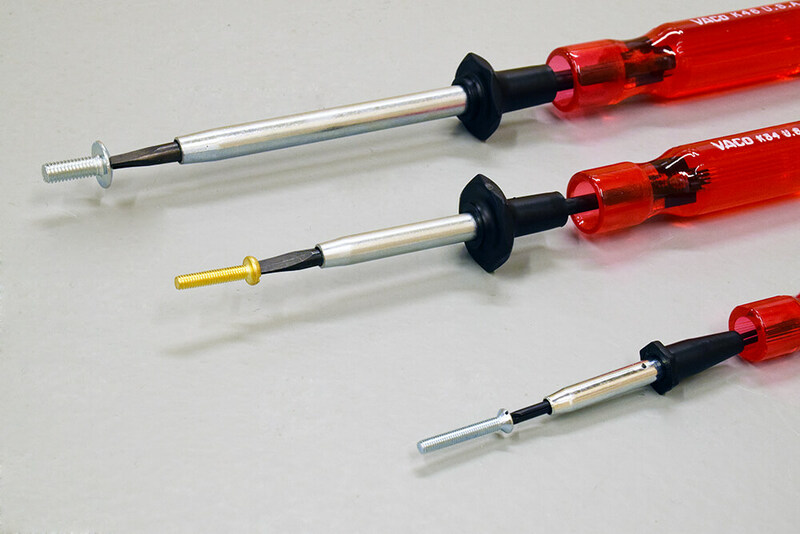 “These screwdrivers are also great for commercial and industrial sparks too, who are doing cable tray or using brass screws for conduit systems” our trainer advises. 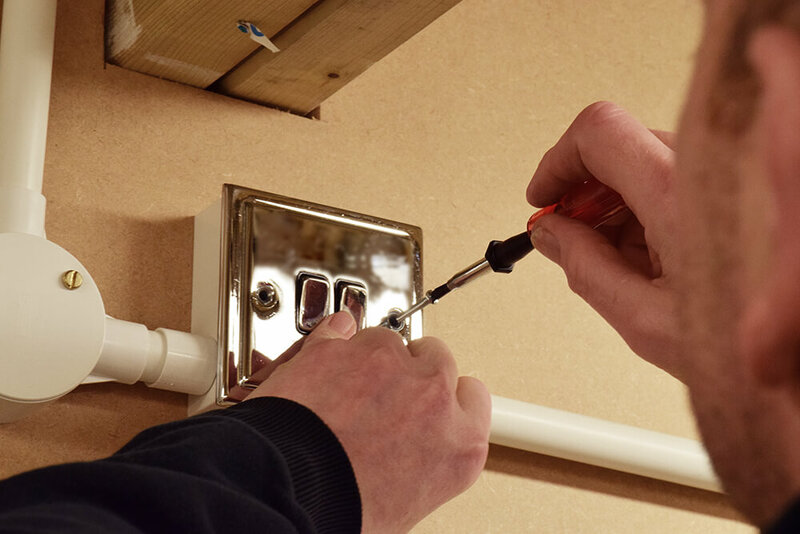 At an average online price of £30 +VAT, they may seem expensive, but against a £15-20 double socket face plate, which you chance scratching and having to replace, it’s not just the equipment you are replacing which costs money, it’s the time to get a new one and fit again. 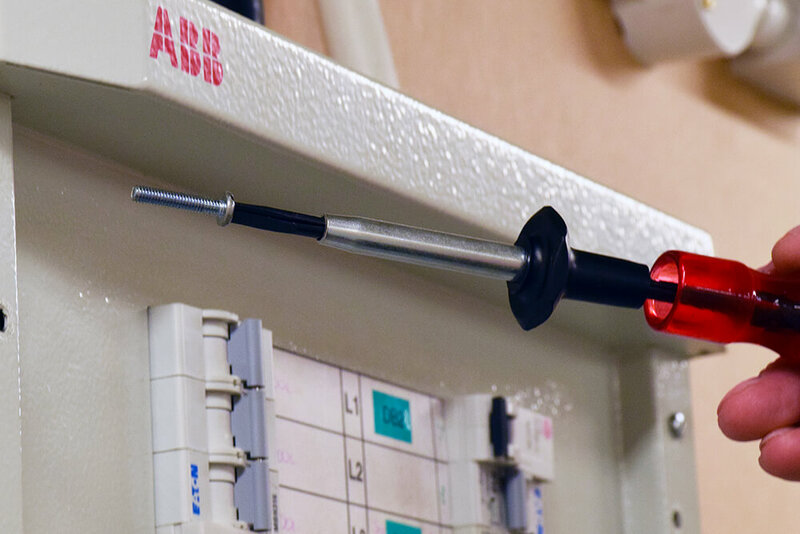 “The sheer ease of use and simplicity of them makes this set great to have on site with you” our electrical trainer said. Doesn’t slip, making it perfect for fancy face plate that you don’t want to scratch. Perfect for both domestic and commercial purposes, from three phase boards, to expensive face plates, to brass screws, to click connect lighting on ceiling. Simple and easy to use, with a comfortable handle grip. Cost effective when considering value for money and future proofing yourself from any potential damages, mistakes or slips. You can buy your Klein Tools Screw Holding Screwdriver Set (SK234) from CEF or various online retailers! This screwdriver set is not designed for torquing or tightening. Want to read more Klein Tools reviews? Then take a look at our review for the Klein Auto Loading Utility Knife!